Support optimal mental focus and concentration with this invigorating blend of essential oils. 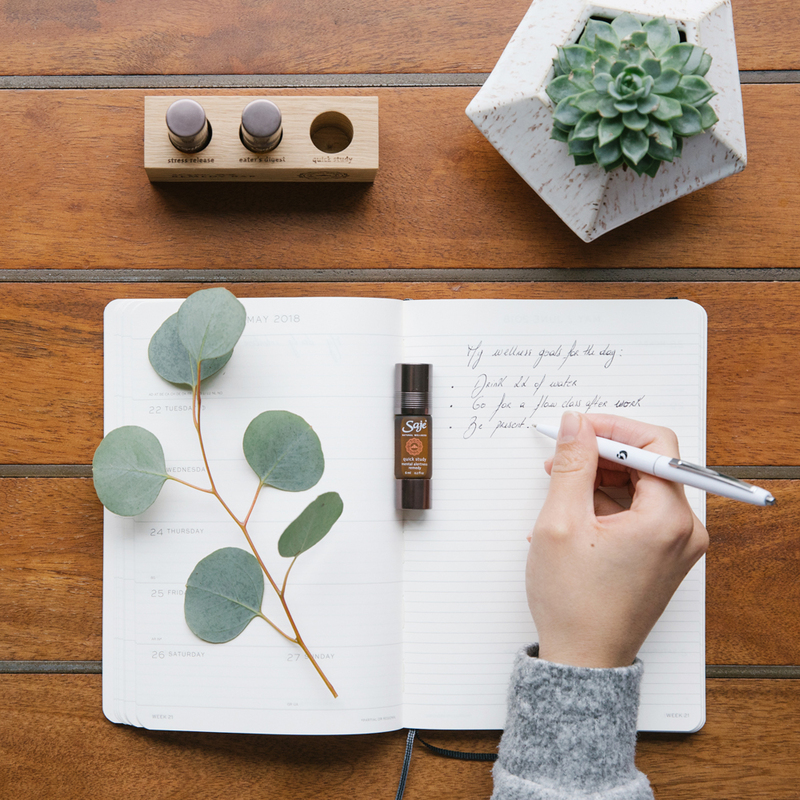 Whether you’re studying, working or need an energy lift, roll on this remedy to keep your mind sharp. SKU: 000023 NPN: 80037855 ? Apply to temples, wrists and palms to promote a sense of balance and awareness. Keep out of reach of children. If swallowed, seek urgent medical attention or contact a poison control centre. This product is for external use only. Do not take orally. Do not use essential oils undiluted. If you have epilepsy, consult a health care practitioner prior to use. Avoid contact with eyes and mucous membranes; if this happens, rinse with vegetable oil. Do not use if you are pregnant or breastfeeding. May cause allergic reaction (e.g. skin rashes, irritation, and dermatitis) in which case, discontinue use and consult a health care practitioner. This product is phototoxic; do not expose the applied area to the sun within 3-4 days of application. Consult a health care practitioner for prolonged use, or if symptoms persist or worsen. A refreshing citrus to energize your emotions, brighten the mind and refresh the body. Refreshes a tired mind; soothes the body while adding a herbal aroma. Bright and citrusy; used as a sedative to help relieve restlessness and nervousness. Bring this to your next study session, exam or long work day to maintain your focus and keep your energy high.